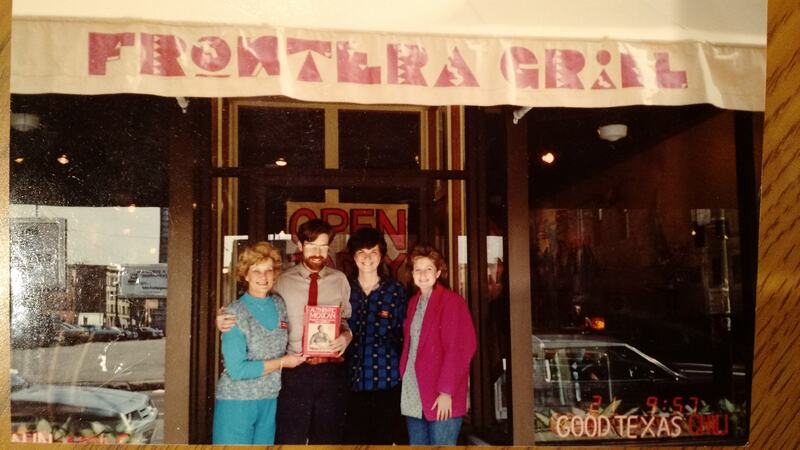 Forty years ago, Frontera Grill's chef shifted the conversation surrounding Mexican food in America. So why has the target on his back widened? Relying on scholarship and fieldwork, Bayless became a bannerman of authenticity, studying Mexican and pre-Columbian foods with such anthropological rigor that no one could mistake him for a casual interloper. “Earth and fire are two defining smells of real honest-to-god Yucatecan food,” Bayless told me about his first encounter with cochinita pibil. “You can make the food outside of that, but it doesn't have the full soul.” Through eight cookbooks and a PBS docu-series that inspired a generation of Mexican-Americans, Bayless earned his stripes as an ambassador. But in today's climate, where appropriation is a hash-tagged buzzword dominating conversations across pop culture, there is more urgency for Bayless to defend his legacy. That is, should a white chef reared on hickory-smoked barbecue be the figurehead of another culture’s cuisine, and profit from telling its stories? Nine months before we chatted, the chef was caught in the crossfire of a controversial debate: Where does one draw the line between homage and appropriation? Bayless found himself in the limelight not because he had suddenly gone rogue, fiddling with fusion cuisine rather than sticking to his script. Instead, while being interviewed on the Sporkful podcast, the chef of Frontera Grill and Michelin-starred Topolobampo acknowledged he had never considered his advantages as a white person in inking book deals or opening new restaurants. For some, Bayless' befuddlement by the question revealed his bullheadedness, if not further indicating that the platform required for chefs to tell stories is steeped with privilege. For his advocates, this flare-up was a tempest in a teapot, overshadowing the work of a pioneer who put in the time to bring America to its senses. "I did my background so that I could tell these stories. So it's not just that I was given the privilege to do that," Bayless told me. “It's really only been in the last few years that [these issues] have been raised, and it’s never raised against any American chef going to Europe. If you go to Japan, it’s cool. It is if you go to a place like Thailand, you'll hear people say, 'Oh, he's appropriating.'" Standing up to that kind of criticism requires a certain finesse. Andy Ricker—another white guy who’s been in the hot seat for cooking Thai—has admitted to being “dismayed” by allegations of appropriation, but has resigned himself to the fact that this fight will follow him for the rest of his career. Bayless seems to have less tolerance for that stigma, going so far as to call out his critics for treating him unfairly as a white chef cooking Mexican food. From cracking the code of Oaxacan mole ("the hardest dish in the world to make") to understanding the heart and soul of Mexican cuisine in the Big Merced market, here Bayless breaks down 10 milestone meals that shaped his career. My grandmother would collect as many of the grandchildren together to go pick peaches in the summertime. We would usually gather six to eight bushels and then spend the next three days processing them. We made canned peaches in light syrup that would be used for peach cobbler throughout the year, and we also made pickled peaches, peach jam, and butter. Everything had to be hand-peeled and then cooked appropriately, and she didn't have a huge kitchen. So from early morning to late at night, there was something on the stove. To this very day, if you say peach cobbler, I have a really strong emotional reaction to it because it represents so much more than just food on a plate. To me, it was that sense of feeding yourself, local produce, the smell in the car on the way back from the orchard. Oklahoma's super hot in the summertime when these peaches are ripe, and just being in that intense sun on rickety ladders, up in trees, picking fruit. The house smelled like peaches for two or three weeks afterwards. Barbecue ribs were the specialty of our family's restaurant. The most important sense that you have as a cook is your nose. A chef can tell whether the onions are browning on something that's halfway across the kitchen, or whether something's about to scorch, because you're so attuned to smells. I grew up in barbecue, which is the most aromatic thing. When you work there, everything you own is impregnated with the smell of hickory smoke. It wasn't until I hit puberty and started thinking about the girls that all of a sudden I decided that it was horrible because all my clothes smelled like smoke [laughs]. So, I'd take all of my party clothes, if you will, out of my closet and I'd put them in the hall closet where all of the coats were to keep them away from everything else that smelled like my work clothes. Barbecue ribs is a defining dish in my life, and it has to do with the fact that it's live-fire cooking. That is who I am. The soul is all about live-fire cooking. In Colorado Springs, there used to be a really famous restaurant there called Michel's. The owner Michel was French, and he knew how to make all of these crazy creations out of cream puffs and éclairs. As a ten year old, this was like Mecca. One time I went and ordered the Pike's Peak, which was was this huge cream puff filled with all kinds of ice cream and everything, and it came like a volcano with the little lid thing on there. I wanted to learn to make it, and it was one of the first crazy baking things that I really made. It became sort of a signature thing for me. So every time there would be any kind of birthday or whatever, I would make cream puffs with ice cream in them. The blob of dough goes on the baking sheet and then they rise up and they're hollow on the inside. That to me was like magic. I was constantly working on perfecting the time, the temperature, how much you beat the eggs in. It's one of the very first things that I taught my daughter to make, too. I was 23 years old, in graduate school, visiting a friend who was doing linguistics work just north of Mexico City in the state of Hidalgo. I had been to Mexico tons, but I had never actually gone through the whole process of making tortillas. I met a woman who said she would show me how to make tortillas. Which really meant I'm going to show you how to boil the corn, and then let the corn soak. The next day, you'll come back and we'll take this corn to the mill, and then we're going to take it back and re-grind it on my own stone slab. Then we'll hand-pat tortillas, not use a press. It was just the whole idea that, oh my god, this is the stuff that we just take for granted that's just everywhere. There's so much to it, and it's so hard. She was trying to teach me how to hand-pat tortillas, which I think you have to start that process at about four or five years old to ever really master it. It was just mind-boggling to me how much care and skill and how many generations or maybe millennia of knowledge was being passed on to me right at that time. My wife and I had just gotten married. I was working freelance, teaching cooking classes, and she had collected time off that she had saved from her job. We were thinking of moving to Cleveland to do this other job for me, and I said, 'Let's go to Paris.' We opened the paper, and there was a $400 round trip airfare offer. We didn't have any money, but from morning to night, we explored all of the places I had read about. We had saved money for this one meal at Taillevent in Paris, a three-star restaurant that's been around for a hundred years. I'll never forget it. We were staying in a hotel that cost $27 a night, and we went to Taillevent and spent $130 for lunch. And it was the most glorious meal of my life. We walked in the door, and even though we were wearing cheap clothes and had bags, they said, "Please, come in. Just relax." They treated us like kings. In Mexico, people are super hospitable, but in a very rustic way. That kind of hospitality I was used to, because it's from the base of your heart. They could have profiled us and stuck us in the corner and not paid any attention to us. Yet they didn't, and it changed my life. What we ate was a saddle of lamb, for two. I never should have ordered anything so mundane, but somehow it felt sort of celebratory. I wanted to see how they carved it at the table. It was gorgeous. I come from live-fire tradition, and in the Yucatan, they do a lot more in-the-ground pit cooking then any place else in Mexico. Right after we had opened our restaurant, we went and visited and I got to know this guy who sold it in a small market outside of Mérida. He said, "Come to my house and I'll show you how to do it." This was the first time that I got see a master make the whole thing, where they actually just dig a pit and build a fire. When the fire burns down, the meat is wrapped in banana leaves and buried for six hours. When you sweep all the dirt off it and open it up, this aroma of earth, fire, achiote and banana leaves all comes up. It's remarkable, because when you take it out, you don't get the fire and you don't get the earth. To me, those are two defining smells of real honest-to-god Yucatecan food. You can make the food outside of that, but it doesn't have the full soul. Then I came back home and built a pit in my backyard. We had done cochinita pibil a number of times in our restaurant, but we had to do it in the oven. Then, when we built XOCO, the quick-service place, I put in a wood-burning oven, which is the stupidest thing because it's a sandwich shop. Why do you need a wood-burning oven? We need it to cook the cochinita pibil overnight. At least get the fire. Not so much the earth, but we get the fire. I was in Mexico City in the big Merced Market, which is one of the largest in the world. It's pure, spectacular chaos. I spent so many hours as a young man just wandering the aisles. There were thousands of things being sold there—chiles, VHS tapes, a revolver. Everything. I sat down at this one place and ordered a plate of stewed pork with roasted tomatillos and verdolagas. The last food to change is the market food, because it's feeding the working stiffs. It's very traditional. When I ate it at that market stall, it sort of flashed through my mind—all of the dozens of times that I had had that dish. There were verdolagas, or purslane, which have of lemony punch. The roasted tomatillos added a depth of flavor. If you sear the pork before you put it into the pan to simmer, you add even more of that sort of sweet, umami richness to it. Eating it made me realize that I was reacting to the food not as an outsider trying to understand it, but from an insider's point of view. I had put enough memories with that dish to all of a sudden recognize its important place. People say mole's the king or queen of the dishes, but to me, pork with tomatillos is the heart and soul of the cuisine. I found making mole from Oaxaca to be an impenetrable thing. It has to do with the toasting of the chiles. The most untrained eyes would look at it and say, "You burn the chiles and then you take them off the fire." No, there's this moment that's right before they're burnt that they're perfectly toasted. It's super dark toast, but they haven't reached this sort of bitterness. You take the seeds out of the chiles and you put those on the comal, and you let them start to heat up, and the oil comes to the surface. You pull a log out of the fire, and you tap the log to the seeds, and the seeds burst into flames. They burn there, and you kinda just move them around a little bit until the fire goes out. I would throw it out there as the hardest dish in the world to make. I spent ten years working on it before I put it on my menu. I wanted to make sure that if any Oaxacan grandmother came in here, she wouldn't look at it like I didn't know what I was doing. Some days it's better than others, but I think we do a good job. I was working on a book with my daughter, and every year we'd go to a different country and cook with a family. My cousins live in Chiang Mai, and they introduced us to a woman who was a descendant of the royal family. She made this duck curry, and it was such a perfect expression of the place that we were in. She understood each one of the ingredients so beautifully. The one thing that I took away from that that I've never forgotten is how there's sort of this band around the world of all these complex flavored cuisines. Stuff in the north tends to be really simple, but the closer you get to the equator, the more complex the flavorings become. And Thailand's sort of in that same band as Mexico and Morocco and India. You see a similarity of this sort of style of cooking going across that band. Here I was there in Thailand, and I was watching this woman cook, and I could ask her questions about things based on what I knew from creating a unity of flavors from Mexico. It had to do with cooking all these ingredients together at a high fire right at the beginning to meld flavors together, and then simmering after that. It was really eye opening to think, well, we're all human beings, so if there's a relationship I could have with this Thai cook who was using a lot of the same techniques that I knew, we could share a language of the kitchen. When I was doing my initial research 30-some years ago, aguachile wasn't even known in Mexico outside of Sinaloa, where it was developed. I was in Sinaloa before the drug cartels took over, and I went to this one place and was told I had to order the aguachile. We're talking 40 years ago; sushi wasn't even widely available in the United States. So they presented me with raw shrimp with this intensely sour, intensely spicy, intensely salty broth on top. I just remember sitting there thinking about how it was one of the most...awful, fabulous experiences I had ever had in my life. Back in those days, nobody was really used to eating raw fish, much less raw shrimp. The gummy texture and the intensity of the flavor that went with it—I thought, this is kind of crazy. And so I left it out of my first book, because I thought nobody is ever going to embrace this thing. I went back to Sinaloa, and every time I would go there, I would eat the aguachile, and I would think, it's not the dish that's changed, it's me that's changed. It defines a lot of what goes on in my life, because we all are just constantly evolving in our understanding of things. As a society embraces, you can never predict what those things will be. Certainly, 40 years ago, I would have said, "This'll never do well in the States." And now I've got a restaurant that has aguachile as a specialty.